A new bicycle is on almost every child’s wish list, unfortunately, in these tough economic times, every parent can’t afford to buy their child a new bike. Each December we are happy to be able to make a few wishes become reality. 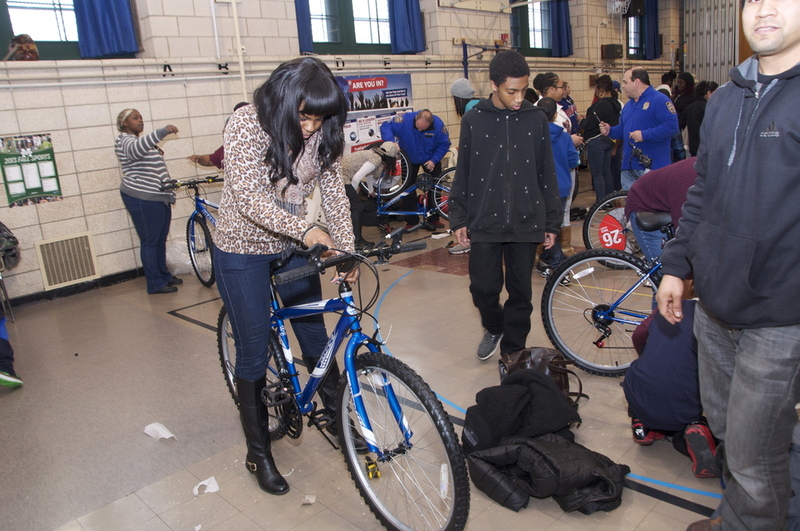 Each December children ages 9-12 will gather to put together brand new bicycles with help from adult volunteers. The children come to the bicycle workshop thinking they are putting together bicycles for children less fortunate than they are. What the children don’t know is that they will actually get to keep the new bicycle. The surprise announcement will be made after each child finishes putting their bicycle together. 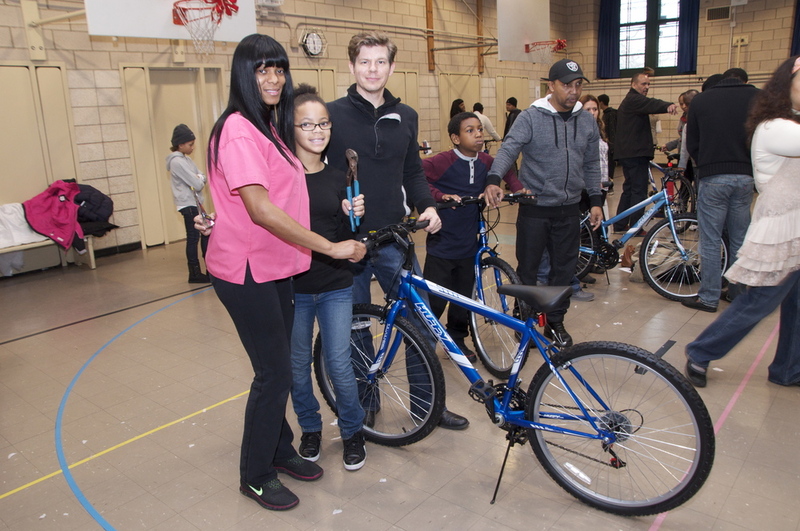 While the Bicycle workshop is a lesson on teamwork and community involvement for the children, it’s also a lesson on giving back for the adults. In addition to the children being awarded the surprise, they will also receive a free helmet and bicycle safety tips. 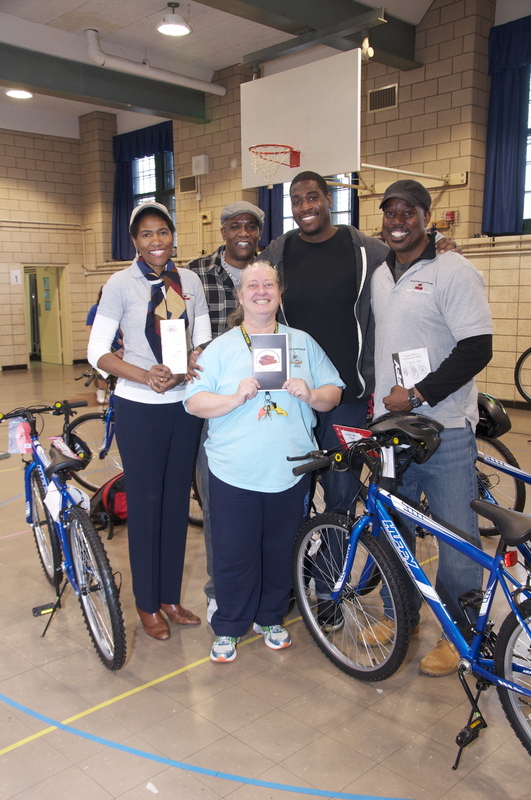 The D’Brickashaw Ferguson Foundation ‘Bicycle Program’ scores big in Philadelphia, Pa. The Bicycle Program extended to fifteen (15) deserving youngsters brand new bicycles and helmets. 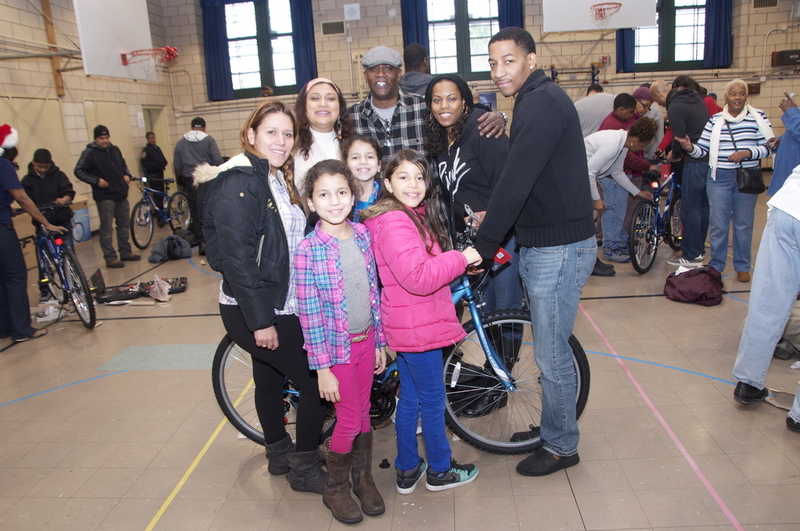 Parents, church members and residents of the Philadelphia community participated in assembling the bikes at Mother Bethel AME Church. In addition to receiving the bicycles and helmets, the youngsters received bike riding safety instructions. The 7th Annual D’Brickashaw Ferguson Foundation Bicycle Program workshop at Baitul Mamur Masjid Community Center mentors neighborhood children and gives them an unexpected spring surprise!